We welcome you and your interest in Beth Shalom B’nai Zaken Ethiopian Hebrew Congregation (House of Peace for the Children of the Ancient Ethiopian Hebrews). You’re invited to join Beth Shalom B’nai Zaken E.H.C. Beth Shalom B’nai Zaken E.H.C. 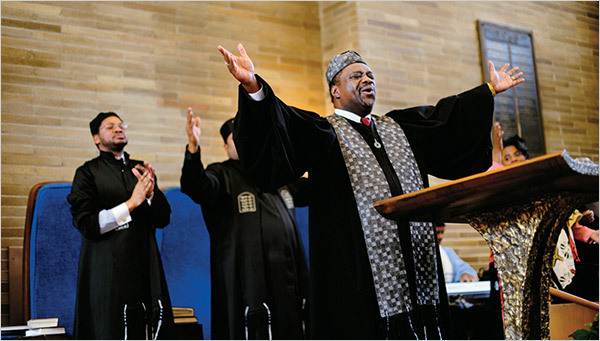 Rabbi Capers Funnye celebrated Martin Luther King Day this year in New York City at the Stephen Wise Free Synagogue, a mainstream Reform congregation, in the company of about 700 fellow Jews — many of them black. The organizers of the event had reached out to four of New York’s Black Jewish synagogues in the hope of promoting Jewish diversity, and they weren’t disappointed.